Founded Near West Side – Tri Taylor, Harrison and Western. The beginning to mid 1960s African American and Latino (Puerto Rican), mid 1960s to 1980s Latino, African American, white, 1980s to present mostly Latino some African American. There is a lot of contradictory historical info out there on how the Harrison Gents’ history went. I myself do not know a whole lot about it, so let us start off by looking at the evidence that is out there compared to the stories told. It has been said that the Harrison Gents started as an Irish gang that just began taking in Latinos in the very late 1960s. I have to shoot that one down because the Irish mostly migrated out of the Near West Side neighborhood (neighborhood where the Gents started) after the Great Chicago Fire in 1871. It is also been said they started out as a white gang; however, back in the 1950s and 1960s the Tri Taylor section of the Near West Side neighborhood was African American, a pretty strong Latino and Italian population. As we all know or may not know, the dominating white Italian gang was the Taylor Street Dukes that later converted into the Taylor Jousters. The Dukes/Jousters ruled the vicinity of Taylor Street and Oakley before and after 1960 and absorbed up the small Italian youth population around that Tri Taylor section. The Harrison Gents indeed were started at Harrison and Western, no doubt about that. Harrison and Western is just a few blocks away from Taylor and Oakley and this is what made the Jousters rivals of the Harrison Gents back in those days. You see, in the Near West Side neighborhood in about 1960, the white man was the minority, census research shows there were only 788 white people in this entire neighborhood; however, I strongly believe there were more than that, but not too much more, maybe a few thousand at most. UIC construction and the Circle Interchange construction displaced all of the Greek community except their businesses and it also pushed most Italians off of Taylor Street, out of “Little Italy” into areas such as West Town. 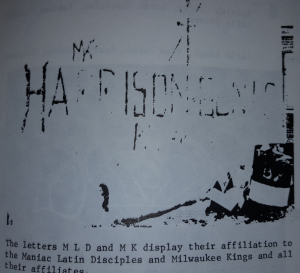 From a 1980s Chicago Police manual, the HGs and Milwaukee Kings and tagged together back when it was only all about Folks. Winthrop and Ainslie in the Uptown neighborhood in the summer of 1974, the HG tag is on the left, the Latin Kings are on the right. This was back when HGs and Latin Kings were really tight. The intersection of Harrison and Western was not touched by either UIC construction or by the Circle Interchange construction; therefore, people living there were not displaced. I do not know exactly when the Harrison Gents were created but I can tell you this they were not a white gang, it was a mixture of African American and Latino youths. Harrison and Western was known to be a mostly black neighborhood with quite a few Puerto Ricans just like most of the Tri Taylor section, especially over in the west side of the Tri Taylor area which is only a few blocks away from the North Lawndale neighborhood that was over 90% black by 1960. There was also a decent size Puerto Rican settlement that arrived in the early 1950s along Madison Ave (La Madison) in both the Near West Side and East Garfield Park neighborhoods just north of the Congress Expressway. Harrison and Western is just south of the Congress; therefore, Puerto Rican settled there as well making this south west section of the Near West side community a mixture of black and Puerto Ricans by the late 1950s. The gangs that ruled Taylor Street were the Taylor Dukes, the Taylor Bishops, Taylor Nobles, Taylor Vicounts and the Taylords just to name some. These gangs hung out with each other and were mostly Italian but took in some Latinos. The Taylor Street gangs were there to protect their neighborhood and what was left of Little Italy by keeping Vice Lords and other black gangs out. The Harrison Gents were seen as invaders from the start. 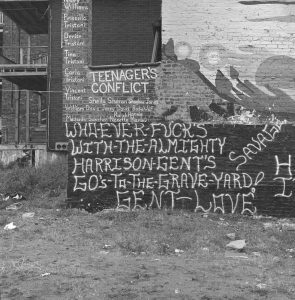 Harrison Gents formed in the early 1960s because of all the Taylor Street gangs and also the growth and spreading of the Imperial Champlains (black gang from North Lawndale, successful offshoot is the Vice Lords) and the Egyptian Cobras (black gang from North Lawndale, later became the Mickey Cobras). No matter what, the Harrison Gents were around by 1960, especially since there are pics out there from 1972 and 1973 of HGs that were well into their 20s. 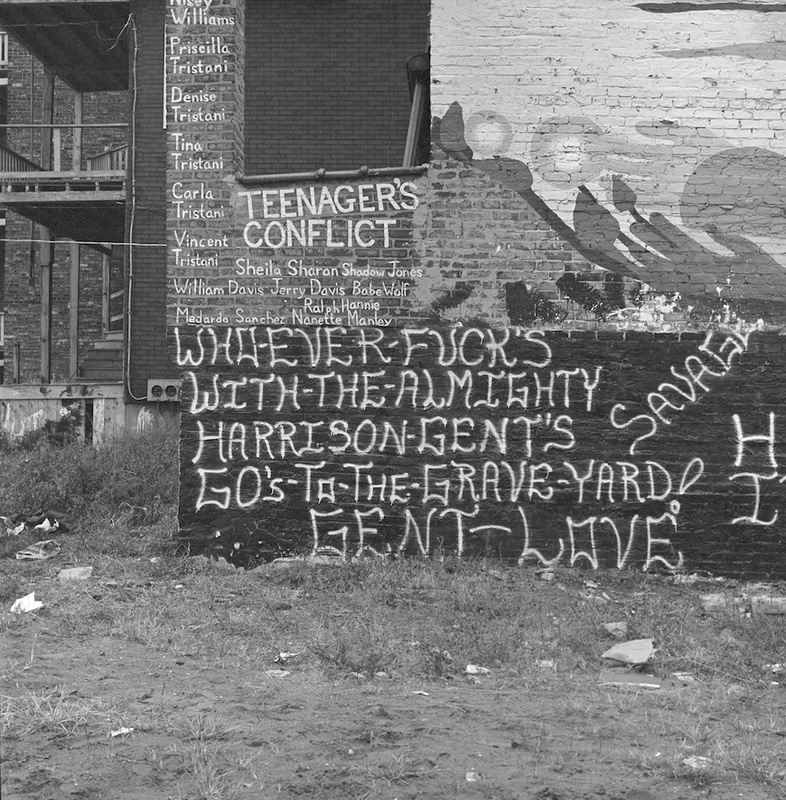 When the Harrison Gents started they were always known as the “Harrison Gents.” They took their name from the street they were from and it is impossible for them to have become the Harrison Gents from absorbing with the Lazy Gents because the Lazy Gents allied up with the Gaylords and C-Notes in the year 1968 in southern West Town to form the “CGC.” Not only that, the Harrison Gents were known as the “Harrison Gents” at least since 1966 according to a 1975 Chicago tribune article where it was mentioned that the “Harrison Gents” had burned down the house of a Latin Eagle gang member because the Eagles killed the leader of the “Harrison Gents” in 1966, this was retaliation (Chicago Tribune P 39, December 7, 1975). The HGs began congregating just down the block at Claremont Playlot located at 2334 W. Flournoy St (Flournoy and Western), this is where they congregated and swelled in numbers in the 1960s. The HGs eventually advanced east down to Damen Ave and encompassed Damen Ave to Western Ave and Harrison Street to Flournoy. This was all just about 2 blocks away from the Taylor Street gangs and not far from the Vice Lords of North Lawndale. In the mid 1960s the Harrison Gents arrived in the Uptown neighborhood at the intersection of Winthrop and Ainslie when Puerto Ricans and African American were first migrating there. This was also the first time the Gents recruited white members into the gang. Another gang that settled this intersection was the Latin Kings. 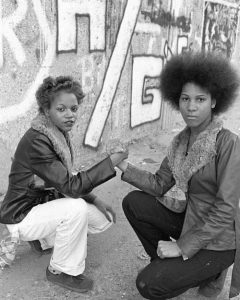 Right away the Gents and Kings were met by the Young Lords and Latin Eagles Street gangs from the nearby Lakeview neighborhood, immediate gang brawls were breaking out between the 4 gangs. Latin Eagles and Young Lords were allies and teamed up on Kings and Gents; therefore Latin Kings and Harrison Gents became very close allies. In the midst of the war between Harrison Gents and Latin Eagles, the Latin Eagles killed the leader of the Gents which angered the Gents; however, they did not get revenge until 1975 when they burned down the house of a Latin Eagle gang member near the intersection of Fremont and Addison in the Wrigleyville section of the Lakeview neighborhood, a 13 year old girl was killed in the fire while members of the Harrison Gents were arrested (Chicago Tribune P 39, December 7, 1975). The Harrison Gents then would spread their influence into the Wicker Park neighborhood sometime in about the mid 1960s into the Blackhawk Park area at the intersection of Ashland Ave and Blackhawk Road. In this area HGs were fighting with the Spanish Lords and some other gangs. The Harrison Gents would soon gain more popularity because of their ruthless ways and making the newspaper. 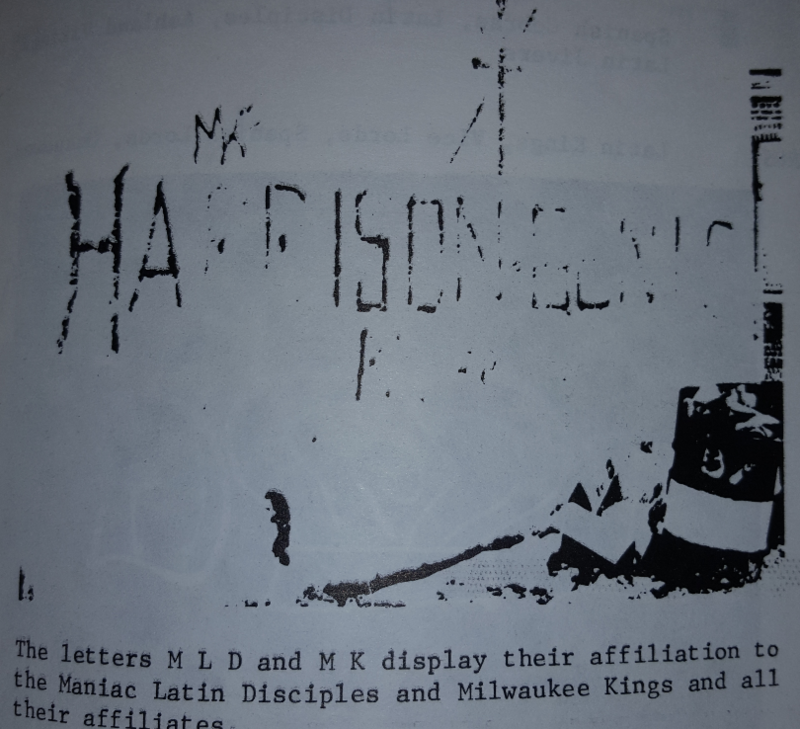 On June 24, 1969 several members of the Harrison Gents paid a visit to the Lathrop Projects on Clybourn Ave to start problems with the Young Lords that were living there. The exact address this was happening was at 2852 Clybourn Ave which is near the intersection of Clybourn and George in the North Center neighborhood. 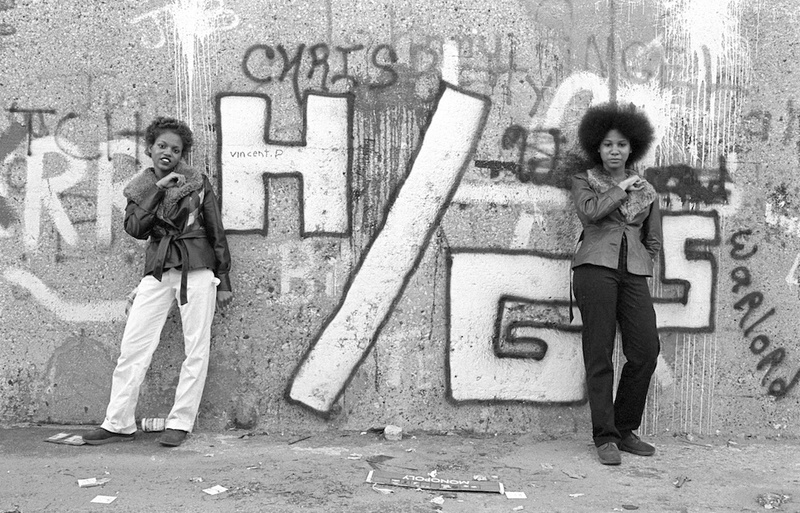 The Young Lords were an activist group by 1969 and were no longer all about the gang banging but the Harrison Gents had ticked them off and got them to fight. The fight was nasty and heated and the Gents were likely getting the better of the Young Lords because when the police arrived and tried to stop it a few officers were accidentally struck by HGs that had tunnel vision in bashing anyone in sight. The Gents tried to play nice and help the officers after hitting them but the cops still turned around and arrested them. As the later 1960s came in the Harrison Gents expanded to the intersection of Sheridan and Leland in the Uptown neighborhood. In Wicker Park, the Gents opened Ashland Ave and Division. HG numbers swelled into the hundreds between the Harrison and Western section, Wicker Park and Uptown sections. As the 1970s ushered in, the Near West Side neighborhood was changing again as Latinos and whites were completely moving out of the area. 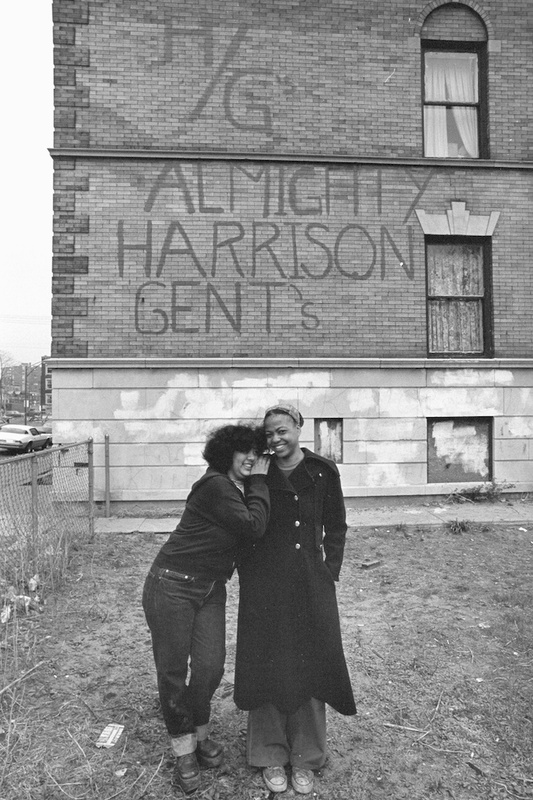 In the mid 1970s, the original chapter of the Harrison Gents at Harrison and Western began settling in the East Village and Noble Square sections of the West Town neighborhood. By the year 1977, the original Harrison and Western branch closed down because it was completely African American by then and black gangs were running that area such as the Vice Lords. The Harrison Gents settled very well in East Village and Noble Square as they opened the East Village sets of: Augusta and Paulina, Hermitage and Cortez, Chicago Avenue and Hermitage, Chicago Avenue and Wood and Rice and Wood. The Gents settled in Noble Square at: Ashland and Cortez, Noble and Cortez and Augusta and Noble. The Gents also encountered the C-Notes from Ohio and Leavitt and the surrounding area and fights broke out right away. The Gents did make friends with a gang called the Lazy Gents that were former allies of the C-Notes until the C-Notes went and joined the UFO alliance. The Lazy Gents completely absorbed into the Harrison Gents once the HGs arrived creating even more white members. In the year 1981, the Harrison Gents were allowed the join the Folk Nation. A big reason the Gents chose to join the Folks is because they were now at war with their closest allies the Latin Kings, turning Winthrop and Ainslie into a war zone. 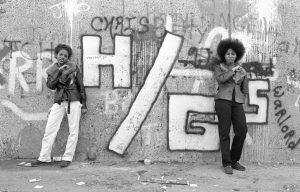 When the HGs joined Folks they were able to ally up tightly with fellow Folks like the Insane Dragons and open territory at Augusta and Fairfield in the East Humboldt Park neighborhood. In the later 1980s, the Harrison Gents began to do business with the leader of the C-Notes “Lucky,” and this established a relationship between C-Notes and Harrison Gents which effectively stalled that war for a few years. After Lucky went to prison in the early 1990s, the C-Notes went on to do business with the Insane Dragons instead thanks to the Notes’ new leader “Bags.” This deal angered the Gents and war resumed between C-Notes and Harrison Gents. By the year 1992 the United Latino Organization alliance was broken up as Spanish Cobras and Latin Disciples (Maniac Latin Disciples) went to war. There were now three alliances that Latin Folks gangs had to choose from up north; the “Maniacs” with the Maniac Latin Disciples, the “Insanes” with the Spanish Cobras, or the “Almighties” with the Imperial Gangsters and Latin Eagles. 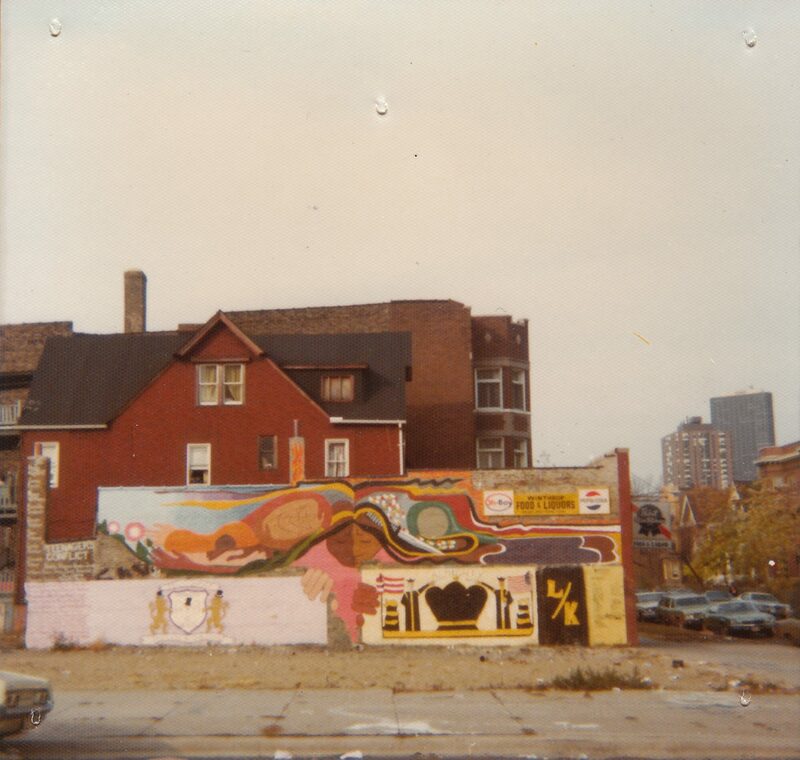 The Gents chose to align with the Spanish Cobras and they became the “Insane Harrison Gents.” It was about this time that the Gents settled in the suburbs of Kankakee and Cicero at 25th and Central Avenue. The Harrison Gents would eventually lose their Uptown and Wicker Park turfs due to gentrification. They also lost their satellite locations in East Humboldt Park and Albany Park due to more need in their East Village and Noble Square operations. The Cicero chapter would also eventually close down. East Village and Noble Square would live on. Please send in old school pics. 1950s or 1960s pics would be especially appreciated! What exact year did the Harrison Gents start? Who was the founder of the Harrison Gents and what happened to him? What years did each later rule the Gents up to the year 2000? Why did Wicker Park, Cicero and Uptown close down? What year did the Gents and Latin Kings go to war and why? What sparked the Gents and Vikings war in 1995? What exact year was Harrison and Western closed? Was it 1977? What exact year did the Gents arrive in Uptown, Wicker Park, Cicero, East Village and Noble Square?